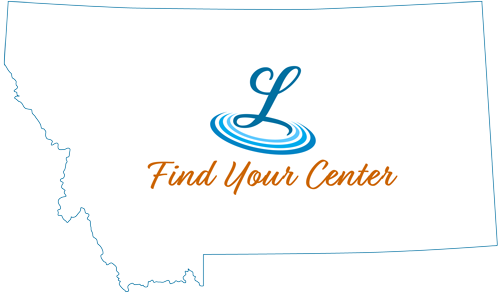 Swimming opportunities abound all summer long in Central Montana. From the pool, to Big Spring Creek, to Warm Springs, there are a variety of swimming options to experience. The Lewistown City Pool is a great place to escape the heat of a Central Montana summer. With three waterslides, a splash park and plenty of swimming space for the entire family, the pool is a great way to spend a hot, summer afternoon. And, after a long day of swimming, indulge your sweet tooth at the concession stand. The city pool opens early in June and closes at the end of August. For more information on the pool, visit the Lewistown City Pool page. Tubing the Big Spring Creek is a fun activity for a summer afternoon. At a constant 52 degrees, the creek provides the perfect setting for a cool and enjoyable float on a hot, sunny day. Plan to start your tubing adventure anywhere along the 9-mile stretch between the creek's originating point at the State Fish Hatchery and town. There is parking access to accommodate vehicles dropping off or waiting to pick up tubers and their tubes. There are a few bridges along US 191 that offer great launching access and parking for vehicles. Just before reaching town, approximately one mile south of Lewistown, is Brewery Flats, a popular place to finish your tubing trip. Tubing will be one of the many highlights of your summer in Central Montana. Tubes can be bought at any of the sport stores in town. For more information, visit the Big Spring Creek page. Warm Springs offers a relaxing environment for families to enjoy the summer together. The 68 degree water makes the spring popular on warm days. On a typical day you can find families picnicking, playing volleyball or horseshoes, and fishing in Warm Spring Creek. You can relax in the shade of one of many willow shoots that surround the spring. The spring is a perfect summer activity to enjoy with family and friends. For more information, visit the Warm Springs page.